My name is Usama Dakdok. I was born in Egypt and I grew up in a Christian home as the son of a Baptist pastor. Usama became a Christian at the age of eleven. Usama learned about Islam in school because it was, and still is, a mandatory subject. To further his knowledge of Islam he studied Islamic law in college. Usama holds a bachelor's Degree in Theology and a Master's Degree Missiology from New Orleans Baptist Theological Seminary. Usama founded The Straight Way of Grace Ministry in 2004 to fulfill the call of God on his life to full time ministry. The Vision of this ministry is to reach Muslims for Christ through educating people. Christians and non-Christians, about the truth of Islam. The teaching about Islam is also used as a means to teach the truth of the Gospel. Usama has translated the Qur'an from Arabic to the first true and accurate English translation called "The Generous Qur'an". 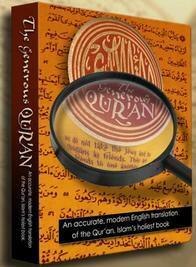 A book that must be red by all westerners in order to know the truth about Islam. 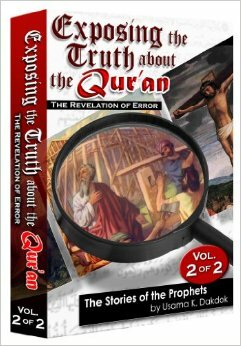 Usama's newest book is, Exposing the Truth about the Qur'an. The Revelation of Error, The Stories of the Prophets. Volume 1 & 2. Muslims claim that the Qur'an is the final revelation of Allah to mankind, as he revealed it to Mohammed by his angel Gabriel. Islam contends that, upon reading the Qur'an, the seeker is at once convinced that it is the very word of Allah. Muslims declare that no mere man could have written such a perfect collection of verses, covering a wide variety of topics and doctrines. Within the pages of the Qur'an, one will find familiar events and people, such as the Creation, the Flood, Adam and Eve, Noah, Abraham, Moses and Jesus. But even the casual reader will notice distinct and striking differences between the Qur'an and the much older Biblical accounts of the same topics. When confronted with these discrepancies, Muslim apologists will counter that it is the Bible itself which has been corrupted. In this thought-provoking new book, the author will examine and refute these claims through careful comparisons of Qur'anic, Biblical, historical, and archaeological records. The reader will discover that the Qur'an does not even agree with itself concerning the lives and actions of the prophets, and its completely at odds with the much older Biblical accounts.